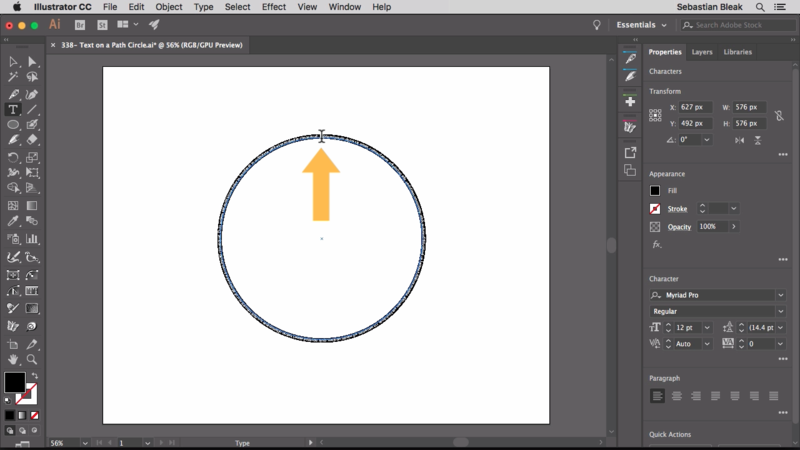 Here’s an update to how I like to create text and the circle in Adobe Illustrator CC 2018. Check out the video above to see how it’s done! 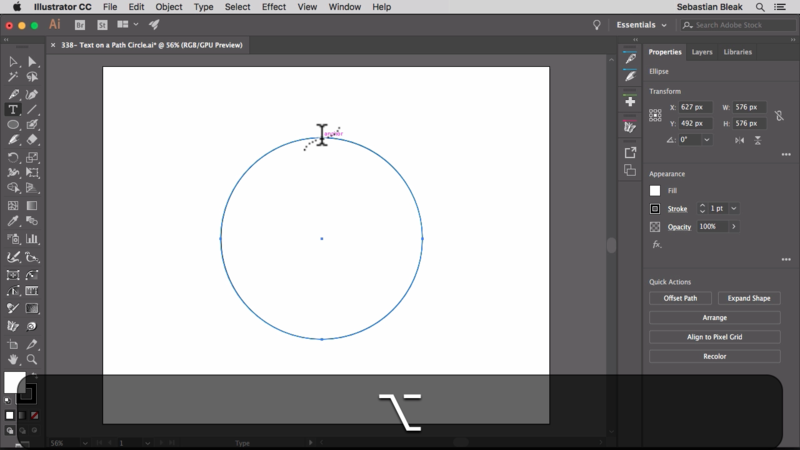 Back in week 98 I created a video showing how to put text on a circle. Since then I’ve changed the way I do things so I thought it was a good idea to share with you all how I do it currently. First thing you might notice, if you did watch my old video, is that I’m using a complete circle instead of cutting a circle in half for the top and bottom portions. I feel it gives you more freedom to work with text. The Top Line can be longer or shorter than the bottom line. Since CS6, the type tool has changed slightly. Now you can hold down the option key to change the behavior and type on a path. It’s important to mention that your first click is vital! That’s going to be where all your alignment happens. In the video I showed to click at the 12:00 position which is going to keep things nice and centered. I wanted to make sure I went over the type on the path options again because some people forget that they have this available to them. In the old video I showed how to align your Baseline to Center. 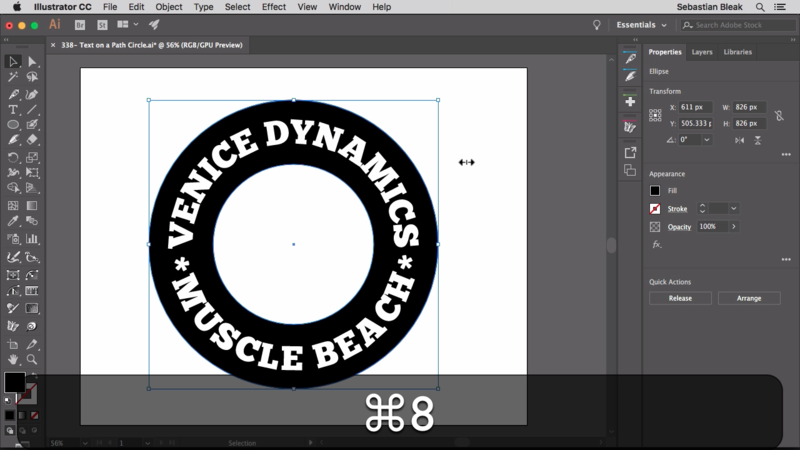 In the new video I align my Baseline to ascender. Which one to use will be determined by the position of your circle or path. 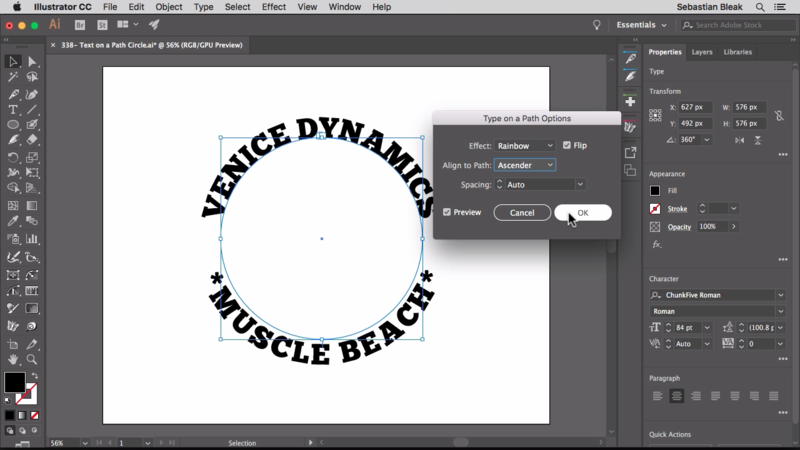 At the end there’s a little bonus tip that shows you how to create a compound shape. In this case it was a donut. I also went over how to edit your compound shape if needed. This entry was posted in Illustrator, Never Stop Learning, NSL - Adobe Illustrator and tagged adobe, adobe grind, adobe Illustrator CC, adobegrind, creative cloud, cs6, design, graphic design, illustrator, learning, never stop learning, postaweek, sebastian bleak, sebastianbleak, text in a circle, text on a path, tutorials, type in a circle, type on a path, vector, vectors, workflow. Bookmark the permalink.